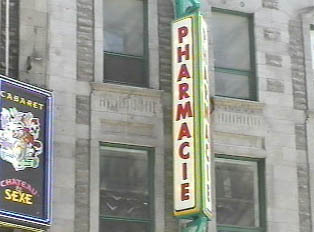 It is rare to find a store in Canada that sells only medicine and health products. It is the norm to have larger chain stores that sell items ranging from a wide array of beauty and health products to various household and stationery items. These stores would have a counter in the back where there is a pharmacist on duty to fill prescriptions. Most pharmacies are open until midnight or 1:00 a.m. It is also possible to find pharmacies open 24-hours in an emergency.